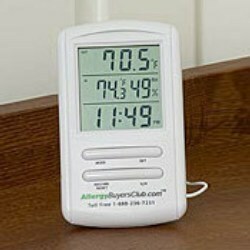 This hygrometer-thermometer indicates the indoor humidity and the indoor & outdoor temperature. It features a LCD display with digital alarm clock, minimum - maximum temperature memory read, wall mount or folding stand option, 9.8 foot outdoor weather-proof sensor wire and 1AAbattery. It Displays time and also can announce a pre-programmed voice message for eg : "Wash your Hands" at pre-set time interval. It can be used in hospitals, railway stations, banks and in several public places. The T2 1080P HD Wi-Fi Square Alarm Clock Hidden Spy Camera Camcorder lets you discreetly record suspicious activity without being noticed. It looks just like a real square clock from the appearance. Built with a 5.MP CMOS sensor, it delivers crisp and clear images as well as 1080P videos full of details. - Large Digital Crystal Clear Sharp Display which is very easy to See. - This Clock Is The Ideal Gift For Children And Adults.